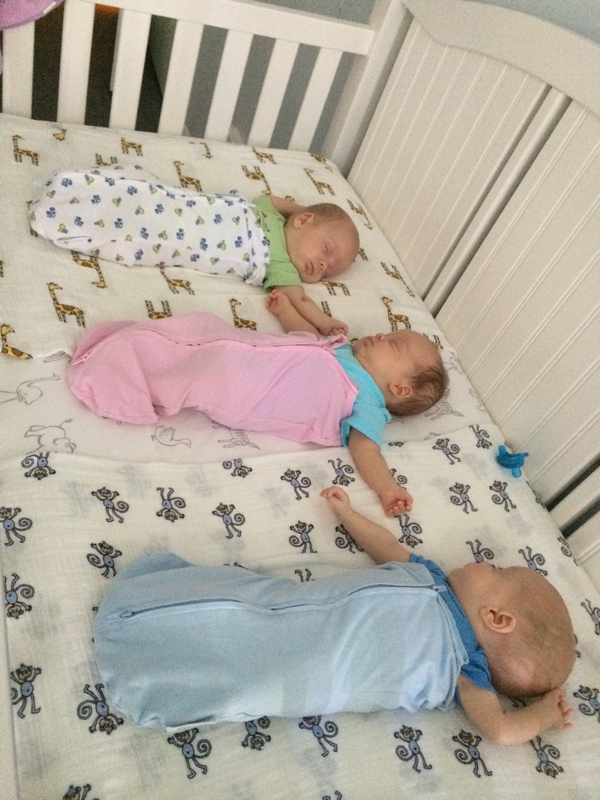 As many of you know by now, each of our three cribs is serving a distinct purpose at the moment. 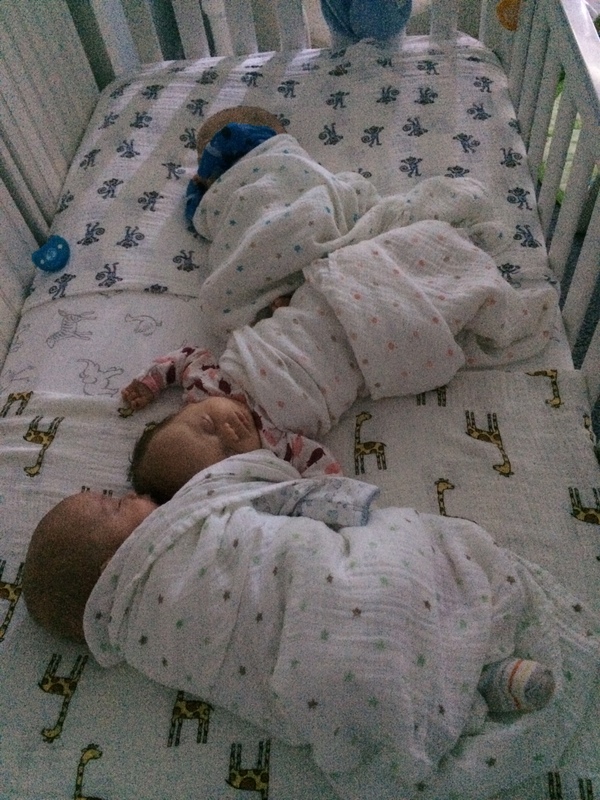 Henry’s crib is the “feeding crib” for those nights when we’re brave enough (or tired enough) to try feeding all three at once. Sophie’s crib is the “sleeping crib.” Everybody piles in there several times a day, unless they’ve been relegated to Jack’s crib, which we might call “spill over” or the “time out crib.” Whenever somebody is too loud, too wriggly, or too messy, off to Jack’s crib he (or she) goes. But it’s difficult to bring ourselves to separate them when they’re just being snuggly. I mean, how cute is this? 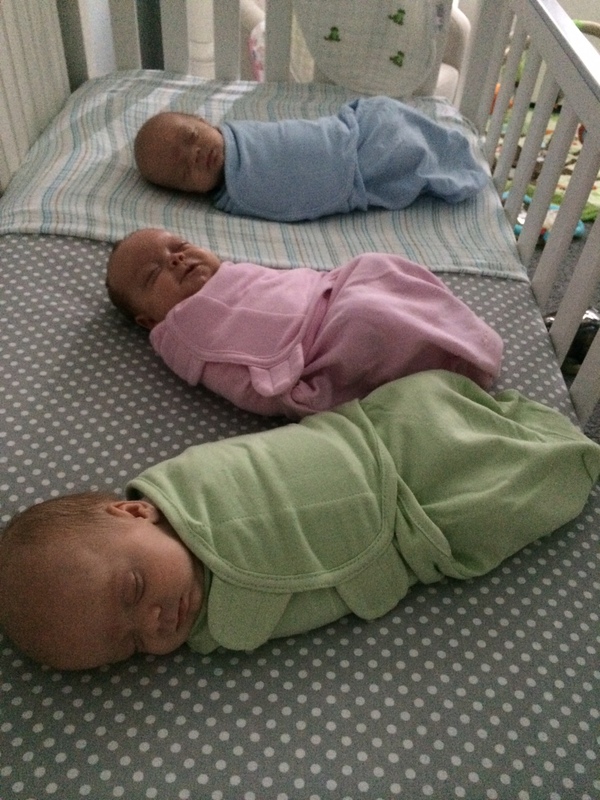 Even in their swaddle sacks these three peanuts manage to find a way to get close. Henry tends to be the wriggliest. 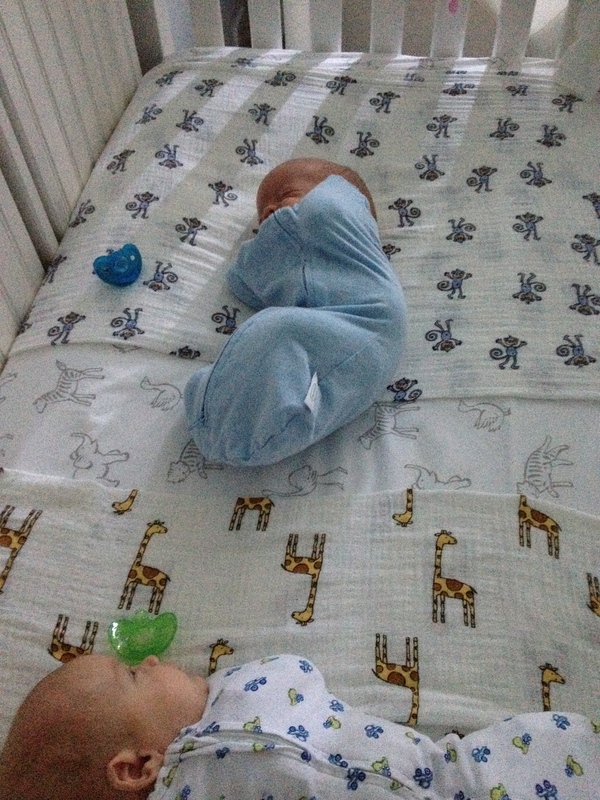 He’s earned himself the nickname Henry Houdini because he always manages to wriggle an arm free from his swaddle. Even when he is ZIPPED in. Sometimes he gets a little too close. Perhaps it’s time we start sleeping in our own cribs? Love them! What a beautiful blog to look back on! Thanks, again and again, for treating us to all these moments!